You should have 10,000 Impleum or more, you can make staking rewards. To earn staking rewards (i.e. “free Impleum”), all you need to do is hold 10,000 or more Impleum on your QT (core) pocket, and also maintain a synchronized full node running on your PC. 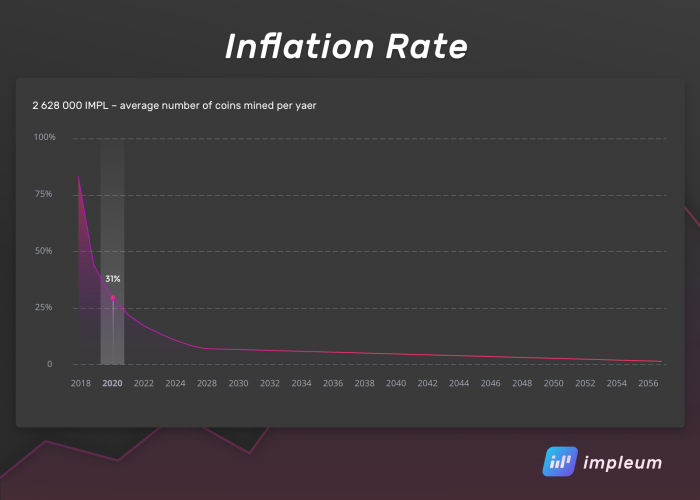 Even though the amount of Impleum you can stake is variable, for every 10,000 Impleum you hold, you’ll stake/earn approximately 25 Impleum per day. 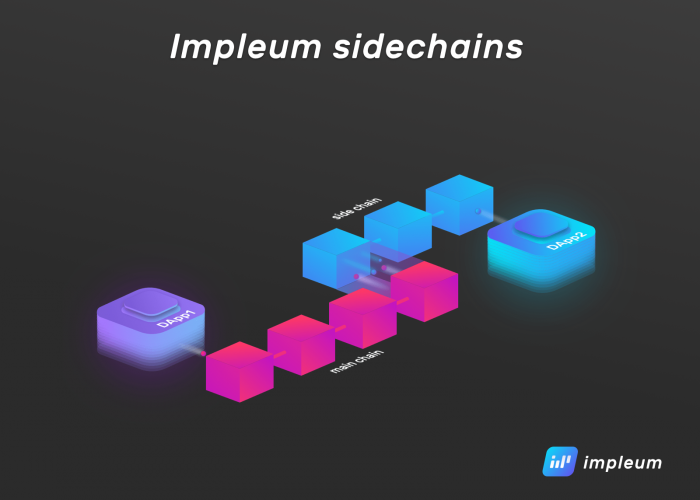 Impleum masternodes solve the problem of providing useful services to a blockchain network while keeping the list of services decentralised and tamper-proof. 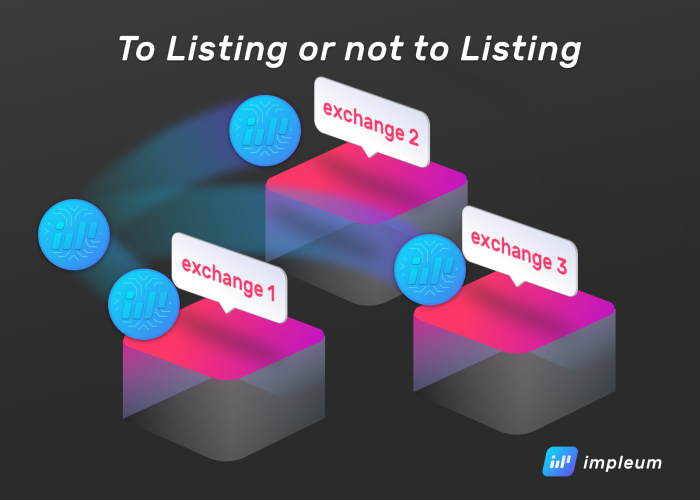 In the initial masternode implementation the service being provided is the Impleum Privacy Protocol, but it is anticipated that many more services can be added in future. 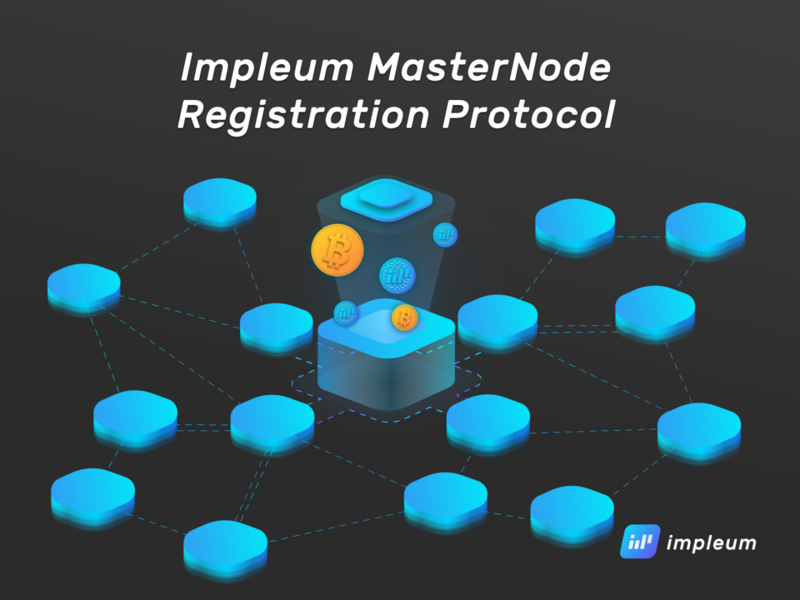 In order for this goal to be accomplished, each masternode must register (advertise) its existence via the Impleum blockchain. This is what is referred to as the Masternode Registration Protocol. A masternode registration simply consists of a specially formatted Impleum transaction. This transaction contains all the pertinent information needed by a client to connect to and validate the masternode. ● The masternode server’s funding address is not funded within the initial window period. ● The collateral funds are insufficient at the conclusion of the window period (see section Collateral Verification for additional information regarding the collateral and the balance tracking). ● The collateral funds get moved, wholly or in part, to another address, thereby decreasing the balance below the required threshold. ● A subsequent registration is made at a greater block height than the original (e.g. to update the masternode’s public parameters). ● (Currently not enforced) A registration expires every N blocks, requiring the operator to periodically refresh it. It is the responsibility of the Privacy wallet client software to scan the Impleum blockchain for the most current masternode registrations prior to initiating contact with any server. They do this by observing each incoming block, looking for transactions that match the bitstream format. When a registration is found, it is stored in the node’s local store. The block height that the registration is received at determines the window period for the masternode funding transaction. The masternode operator has to move the required collateral into the funding address before this window elapses. 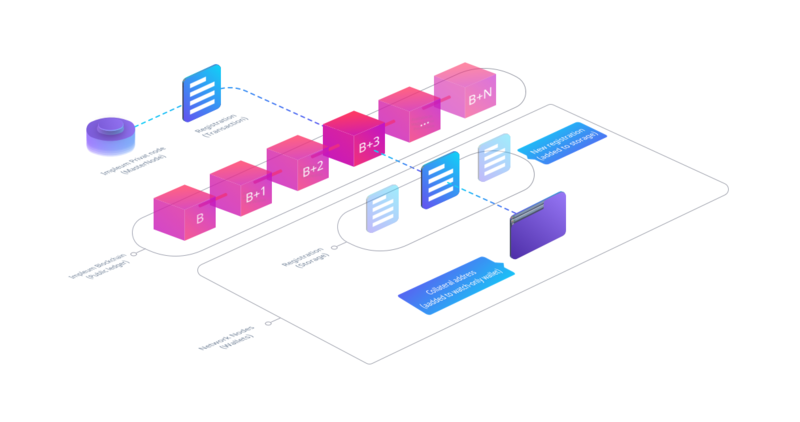 If this is not done the registration will be regarded as expired and purged from the local storage of all nodes on the network. Once a sufficient number of valid masternode registrations have been downloaded, the client can select one at random and try to connect to it to utilise its services (e.g. the Impleum Privacy 50 Protocol). Optionally the masternode selection can be performed once the entire blockchain is downloaded, as this is more fair to masternodes that register later in the chain. The process described above has already been implemented into the Impleum software offering.